LOS ANGELES, CALIF. (KTLA) -- In a sight that upset some beachgoers, a dead dolphin was towed across the sand in front of families in Ventura on a busy Fourth of July weekend, but the port's harbormaster said it was the best way to deal with the carcass. The incident occurred Sunday, and was captured on video by a Palmdale man who was surprised authorities would tow the marine mammal in front of his and other young children. 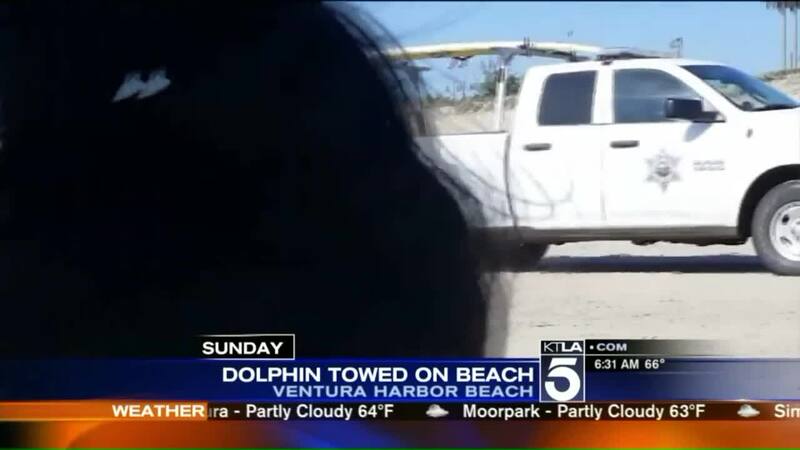 Justin Avila provided the video to KTLA, questioning why the dolphin wasn't placed into the truck and removed more discreetly. "It was disturbing," Avila said in an email. California State Parks and the Harbor Patrol decided to use a pickup truck to tow the animal instead of loading it into the truck's bed so that the vehicle would not need to be decontaminated and could remain in service for medical, emergency and law enforcement calls, Ventura Harbor Patrol Harbormaster John Higgins told KTLA on Monday. "Our area tries really hard to provide exceptional services and the efficient removal of this dolphin was our best attempt to deal with a difficult situation," Higgins said in an email. "The other option that could have been utilized would have been to leave it in place over the weekend and possibly longer." The Ventura Port District contracts with the state parks department for lifeguard services. The lifeguard who spotted the dead dolphin consulted with his supervisor, who in turn talked to Harbor Patrol about what to do, Higgins said. The state parks supervisor towed the animal away to a more remote area. 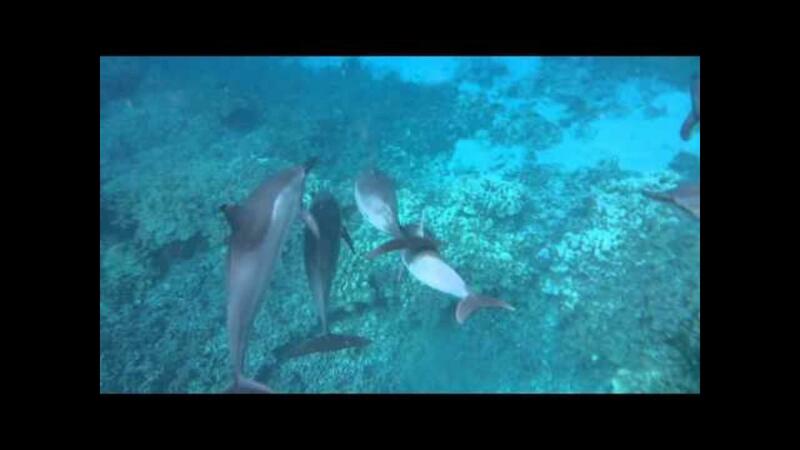 While the federal National Oceanic Atmospheric Administration is the "responsible agency" for dead marine life, NOAA defers to local agencies to remove dolphins, Higgins said in a news release. "There is nobody to call that will even come to remove the dolphins or expired marine life," the release stated. "Small agencies like State Parks and Ourselves have to use our limited resources to mitigate the real health hazard and public nuisance that these mammals create if left in a natural decomposing state on the beaches." The Harbor Patrol does not have tractors, so a boat or truck was the only option for transporting the carcass, Higgins said. If the dolphin was towed out to sea by boat, it would likely have again washed up on shore. Officials decided to use the "least amount of manpower" to remove the dolphin, he said. Higgins said his agency planned to review the practice of towing to "see how we might make the relocation of deceased animals more agreeable to the public." KTLA's Meghan McMonigle contributed to this article.